Few things multitask and feel as refreshing as a makeup setting spray. The sometimes underrated beauty elixir gives makeup serious staying power while also hydrating the skin and giving it a luminous finish. This summer, we're skipping the setting powder in favor of a lightweight makeup-setting spray, and according to Rank & Style, there are five that are universally loved on the internet. After all, a setting spray is basically the secret weapon we reach for this time of year to create a sweat-proof, rub-resistant barrier that locks in our bronzed no-makeup makeup look. From a cult classic to a favorite among brides and a newcomer with illuminating results like no other, these will ensure there no makeup meltdowns in your future. Keep scrolling for the top five makeup setting sprays according to the internet. From the brand that makes some of the best cosmetics out there comes a setting spray that's just as top-notch. 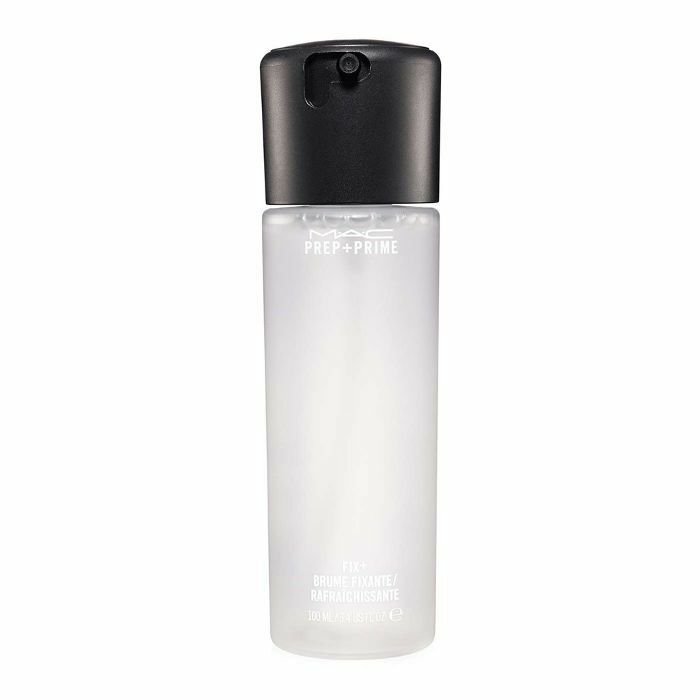 This lightweight, alcohol-free mist lasts up to 12 hours to keep oil at bay and is formulated with a complex to deliver a glowy complexion all day long. The name says it all: This setting spray delivers 16 hours of the illusion of just-applied makeup (think smooth foundation and vibrant eye shadow). It boasts temperature-control technology that quite literally lowers your makeup's temperature to lock it in place despite humidity and/or super-hot temperatures. 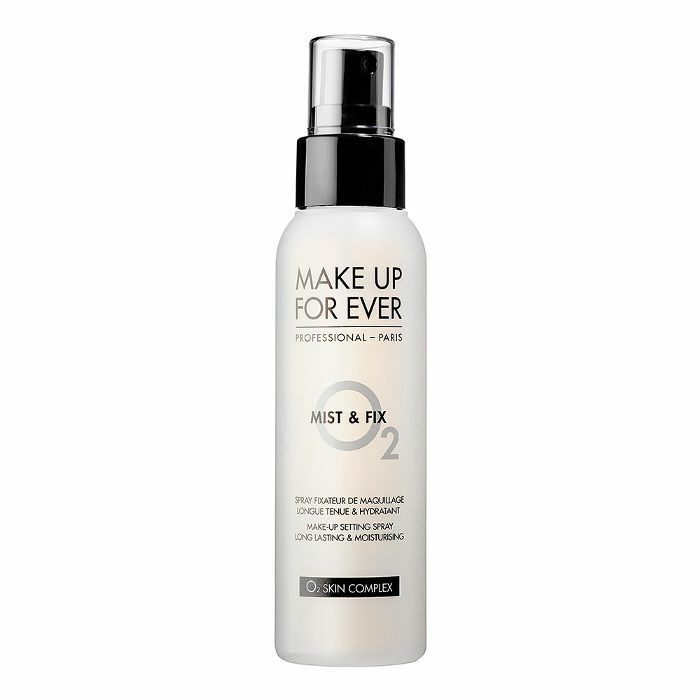 Interestingly, this formula was developed in partnership with the #3 mist on the list from Skindinävia. Skindinävia's cult-favorite setting spray may have been designed with a bride in mind, but it's also good enough for everyday use. Some loyal users consider it the holy grail of setting sprays thanks to its patented technology made to withstand the elements while keeping makeup from settling into fine lines, pores, and wrinkles. A gorgeous, fresh-faced look all day long? What more could you want? Spritz on a couple of times for a natural glow, or go all out for a truly luminous finish. 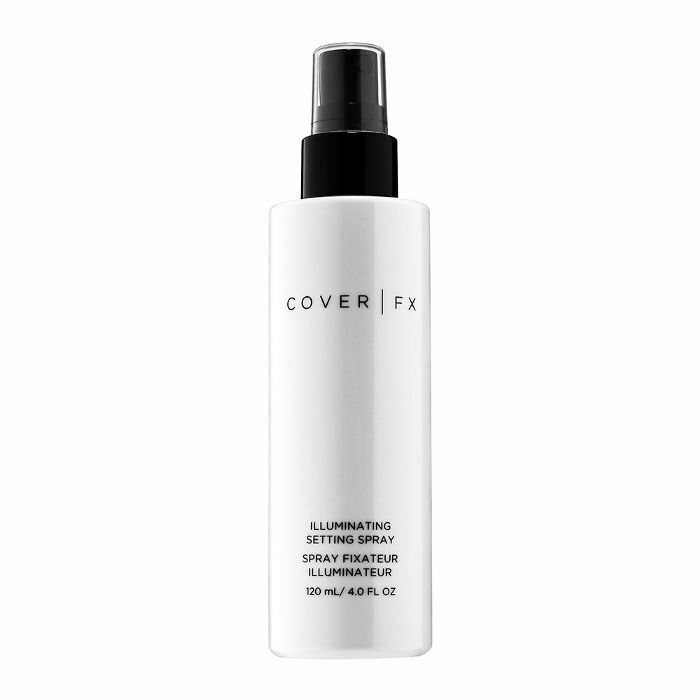 Either way, Cover Fx's illuminating makeup-setting spray gets high marks for its quick drying time and the all-over radiance it provides. Whether you use it to give makeup staying power or use it on your body for a subtle glow, this spray earns its top spot on the list. MAC's best seller boasts double duty: Not only does it set makeup in place, but the mineral-rich formula also works as a primer. The lightweight multitasker instantly refreshes and smooths skin before makeup application, and you can bet that almost every celebrity makeup artist has this in their kit at all times. One user writes, "This is the first time I have ever used this stuff. Love it. Not only does it set my makeup but it takes away any cakiness of my foundation/setting powder. I wish I would have found this stuff sooner." We're ready for you, sweltering commutes. Head over to Rank & Style for the complete top 10 list of the best makeup-setting sprays and read on about the best bronzers for a natural glow.